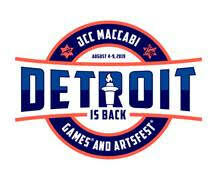 Detroiters welcome children into their lives through international and domestic adoption. Marla Michele Must, a Birmingham photographer, started thinking about adopting a child from another country a few years ago when she realized she had love to give to a child in need. A single mother with two biological children, Jake, now 15, and Ava Rose, now 13, Must started by researching international adoption. She learned the wait to adopt can be several years. Some countries required more than one visit, and some required adoptive parents to come for a six-week stay. China required a stay of only a couple of weeks, and the wait for a child, especially one with special needs, could be less than a year. An experienced mother with two biological children, Jake, now 15, and Ava, now 13, Must started by researching international adoption. She learned the wait to adopt can be several years. Some countries required more than one visit, and some required adoptive parents to come for a six-week stay. China required a stay of only a couple of weeks, and the wait for a child, especially one with special needs, could be less than a year. “‘Special needs’ can be something as minor as a birthmark that is considered unlucky in Chinese culture,” Must said. In many other cases, the children waiting to be adopted are misdiagnosed. Must suspects some are listed as having special needs so they’ll be processed through the system in China and adopted faster. Must worked with an adoption agency in San Francisco. When she received a photo of a toddler named TianTian, she fell in love. All that was known about the girl was that she had been found abandoned on a train as a toddler. Her file said she had multiple health problems, but that report turned out to be false. TianTian was being cared for by a foster family. Although China discourages contact between the adoptive and foster parents while the adoption is in process, Must wanted to learn all she could about her daughter — and she wanted to prepare TianTian for her new life in Michigan as well as getting Jake and Ava ready for the introduction of a new sibling. An online friend who had adopted from China discovered that her own child’s foster mother knew TianTian’s foster mother (whom the girl called “China Mama”). The foster mother agreed to be contacted, and Must began sending her information and gifts. Through someone at General Motors, Must connected with an auto executive in Liuzhou, Guangxi, where TianTian lived. The executive invited China Mama and TianTian to her home so they could Skype with Must and her children. Meanwhile, Must, Jake and Ava watched movies and read books to learn about China, and made scrapbooks and cards about America for TianTian. They studied Mandarin and now their home is bilingual. They especially wanted to be able to tell TianTian “Don’t be scared” when they met her. 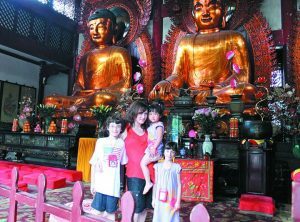 In summer 2010, Marla, Jake, then 10, and Ava, then 8, went to China. On June 21, which they celebrate as Forever Family Day, they finally met TianTian, age 3. The family spent another three weeks in China, then brought their new daughter and sister — renamed Sasha Jade ChunTian — home. Marla and her children still have regular email contact with Sasha Jade’s foster family. Sasha Jade’s adoption brought another gift into Must’s life: a reawakening of her passion for photography. She took her camera to China, after not using it for a long time, to capture the budding relationship among her children. Her love of the art has developed into a full-time business, where she specializes in photos of children and families. She recently built a new photography studio in Birmingham. Must took all the photos for this article. She became acquainted with Cathy Eisenberg, an adoptive mother, co-founder and executive director of Child & Parent Services, a nonprofit private adoption agency in Bingham Farms. Eisenberg’s agency did Must’s home study, an essential part of the adoption process. Many other local couples have adopted internationally, including the Codens and the Golnicks. Robyn and Mark Coden of Beverly Hills were interested in international adoption because of the huge number of children waiting for families. When they applied to adopt a child from China, they were told it would take nine months; they waited two and half years. They met their daughter, Frankie, now 7, when she was 11 months old. Now it takes even longer to adopt from China, as long as six years, said Robyn Coden. Russia, Guatemala, Romania and some other countries are no longer permitting international adoption. 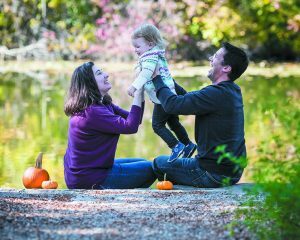 When the Codens, who own and operate Camp Tanuga in Kalkaska, decided they wanted another child, the adoption process was so daunting that Robyn decided pregnancy would be easier; their biological daughter, Jaye, is now 5. 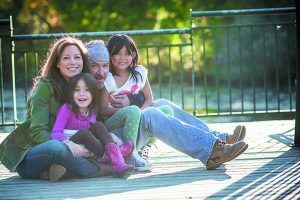 Marla Golnick and her husband, Jason, of West Bloomfield, chose international adoption because they distrusted the uncertainty of so many domestic adoptions. It’s not uncommon for birth mothers to change their minds after the baby has been placed in an adoptive home but before the adoption is final. It took about 10 months and two trips to Russia from the time they applied until they brought their 2-year-old daughter home. Ariel is now 14. The Golnicks also have a younger birth daughter, Rayna, 11. Erika Jones was 35 and her husband, Rick, was 39 when they decided to adopt. It would be two years before they became parents. They learned very quickly that in the world of private domestic infant adoptions — also called direct placement adoption — it’s the birth mothers (and sometimes the fathers, too) who make the decisions. They are the ones who choose the parents who will raise the child they birth. Rick Jones, a firefighter, conducted a social media campaign to promote themselves as prospective adoptive parents. They got a lot of media attention, including some hate mail saying if they couldn’t conceive, it was all part of God’s plan and they should accept it. Two women were interested in the Joneses. One decided to keep her baby. The other was in a Florida jail on fraud charges. 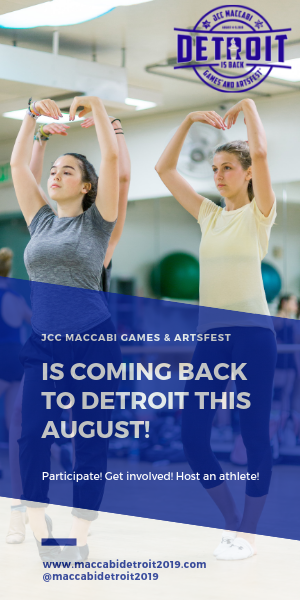 “It just didn’t feel right,” said Erika Jones of Berkley, who works as a development officer at the Judson Center in Southfield. At the same time, they were looking for the right adoption agency since all private adoptions need to be processed by a licensed agency or an attorney. A Christian-sponsored agency asked applicants for a letter of recommendation from their pastor. When the Joneses asked them if a letter from a rabbi would do, the agency said no. They settled on Morning Star Adoption Center in Southfield, which matched them with their daughter’s birth parents, a young couple living in the Michigan Thumb. The Joneses went to every doctor’s appointment with the birth mom, and they were present when Samantha was born on Dec. 26, 2012. Rick cut the umbilical cord. Like many private adoptions, theirs is an open adoption, where the birth family continues to be involved with the child. The Joneses want another child. Samantha’s birth mother wanted to bear it for them, but her health will not permit it. They considered adopting from foster care, especially since Erika Jones now works for a child welfare agency and can see the tremendous need. But she wanted Samantha to be the big sister. 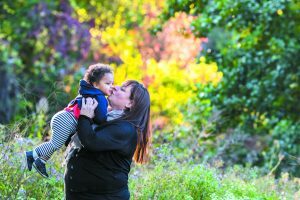 It’s not that easy to adopt a healthy infant from foster care, and she didn’t want anyone to think her position at the Judson Center gave her any advantage over other prospective adoptive mothers. So the Joneses are back on the private adoption list, hoping another birth mother will choose them. A few years ago, Lynn Aronoff of Royal Oak, now 48, decided it was time to be a mother. As an older, single woman, Aronoff knew her age and marital status were unlikely to appeal to birth parents looking to place their child through a private adoption. International adoption was becoming more difficult. Many countries that formerly encouraged international adoption no longer permit it. In the countries that do, including China, the wait for children was getting longer every year, especially for infants. So Aronoff, a political consultant, signed on with the Methodist Children’s Home in Redford, took 12 hours of training and became a licensed foster parent with the intention of adopting. She told the agency she wanted a child under age 2. Within a month, the agency called and asked her if she would foster Charlie. He was 6 days old. “He went right from the hospital to my house,” Aronoff said. When Charlie was 3 months old, his mother’s parental rights were terminated; no one knew the identity of the birth father. The adoption was finalized when Charlie was six months old. “He’s the light of our lives,” said Aronoff, whose parents also spend a lot of time with him. Aronoff said it’s wise for parents adopting from foster care to determine their limitations from the start. How old a child would you accept? Would you accept siblings or children with special needs? What about a child of a different race? Before she took Charlie in, the agency asked if she would be interested in adopting twins. “I considered it, but I decided two would really be too much for me to handle,” she said. The statistics are grim for children in foster care who are not adopted. More than half fail to finish high school. Many become homeless, end up in jail or become parents themselves at a young age. Photos and profiles of children waiting for adoption can be seen on the website of the Michigan Adoption Resource Exchange, www.mare.org. Although healthy infants like Charlie come through the system all the time, many of the unmatched children are older or part of sibling groups that the state tries to keep together. And most are non-white. Charlie is bi-racial, and Aronoff knew that could be problematic. International and private domestic adoptions can be costly. To adopt from another country, you must sign on with an agency that handles international adoption and pay their fees. If that agency is not in Michigan, you need to work with a local agency to do a home study. The child’s country of origin charges fees for handling the adoption, which vary widely. And international travel and the cost of staying in another country for at least several weeks can be expensive. The total cost can easily be more than $25,000. The big expenses in private domestic adoptions are the agency and home study fees and the birth mother’s expenses. The adopting parents pay the birth mother’s medical expenses and related costs. For birth mothers with few resources, the budget might also include rent, utilities and food. 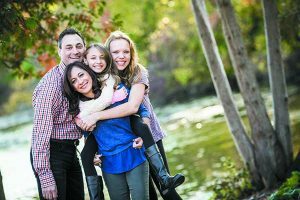 It’s possible to adopt a child from another state, but such adoptions usually involve working with attorneys, and the total cost can be twice as much as an in-state adoption, said Cathy Eisenberg of Child & Parent Services in Bingham Farms. 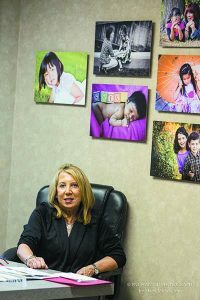 Eisenberg said in-state adoptions through her agency cost an average of $16,000 to $20,000, while out-of-state adoptions can cost as much as $40,000. Adopting a child from foster care is the least costly option because the state covers almost all the costs, including agency and home study fees. In many cases, the state will cover the cost of medical care and therapy for children with special needs. There is a one-time federal tax credit for adopting. For 2014, the credit is $13,190 per child. Whether a family can claim a full or partial credit depends on their income and their tax liability.